Setting up the stage for an event will be highlighted through the kind of music's sound system installed. To attain the maximum sound we need whether a small or big event you must be equipped it with quality loudspeaker system to control everything in just a few turns of the knobs. 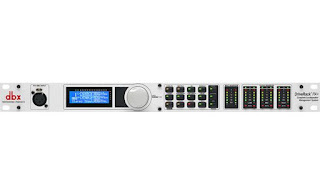 The dbx DriveRack PA+ Loudspeaker Management System builds on the tradition of the earlier DriveRack PA” one of the world's most popular loudspeaker managers. Showcasing all the features that users around the world have come to expect, including easy setup, rock-solid reliability, and unparalleled sound quality, the new DriveRack PA+ goes to great lengths to earn its "plus " designation. With more settings, more control, and enhanced circuitry, dbx DriveRack PA+ puts the sound you seek right at your fingertips. Check out dbx driverack at guitarcenter.com!